Hidalgo County Health Director Eddie Olivarez speaks at the STARZ II Bianational Zika Conference at the McAllen Convention Center Wednesday, May 9, 2018. McALLEN — Health care professionals from across the U.S.-Mexico border met Wednesday to discuss efforts to reduce the spread of the Zika virus on both sides of the border as mosquito season ramps up in South Texas. 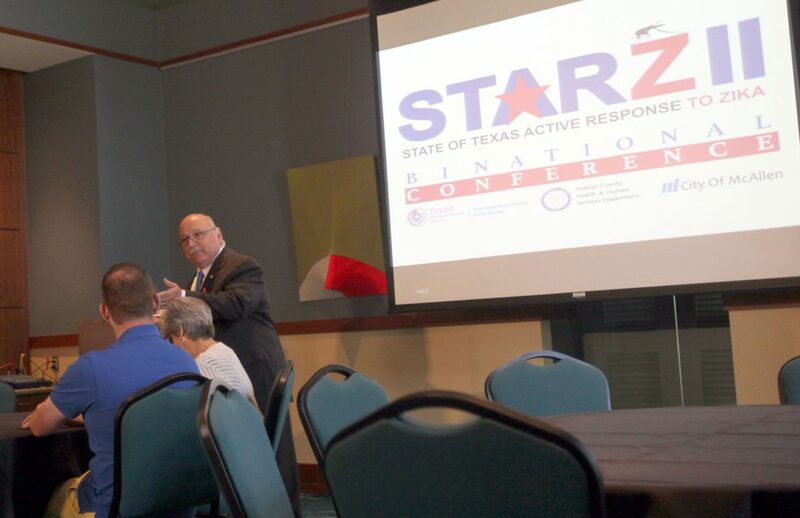 The second annual State of Texas Active Response to Zika, or STARZ conference was an opportunity to share information and strengthen existing communication between health officials in Texas and northern Mexico, according to Eduardo “Eddie” Olivarez, chief administrative officer for Hidalgo County Health and Human Services. “We have to be in more communication for the health of our border counties,” Olivarez said during a news conference. Such communication is especially important given the reduction in federal funding for Zika prevention efforts, leaving the state and counties to pick up the tab if they want to keep programs alive. 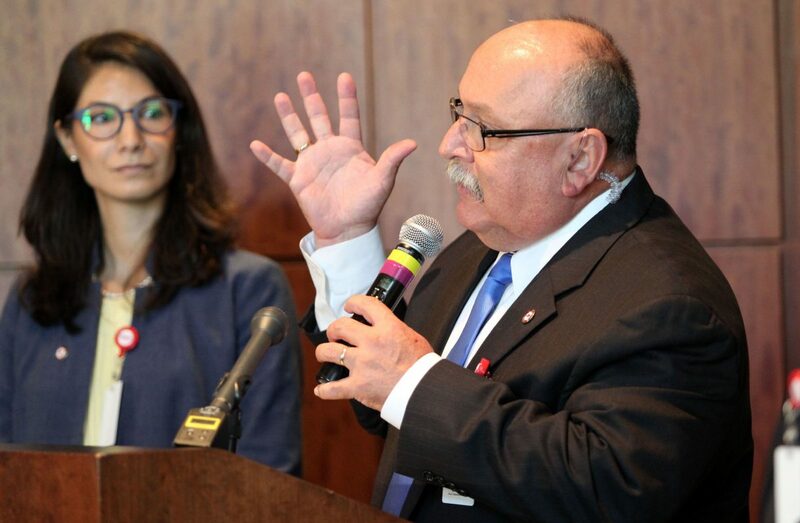 The Texas Department of State Health Services’ Office of Border Public Health hopes to establish border epidemiological surveillance teams to increase data sharing between Texas and Mexican officials, said John Simo Villarreal, the office’s bi-national coordinator. Laredo is the only border city with such a team, which exchanges data with Mexican health officials directly across the border in Nuevo Laredo. DSHS is working to establish similar teams in Hidalgo and Cameron counties. DSHS currently communicates with state-level health officials in Mexico and Central America on a weekly basis. Three Zika cases have been reported so far this year in Texas, all of which were associated with travel, meaning that the infected person was exposed to a virus-carrying mosquito outside of the state. None of the cases occurred along the border. Texas officials hope reported cases remain low this year after 2017 saw a 95 percent decrease in reported cases — from 315 in 2016 to 55 in 2017. Dr. Emilie Prot, the DSHS regional medical director for South Texas, said it’s still unclear why last year saw such a decrease. While data sharing is still in the works, officials stressed the importance of grass-roots level health initiatives like promotoras , trained community heath workers, of which there are more than 800 working in Texas along the border. Officials on both sides of the border urged residents to prevent mosquito breeding by removing sources of standing water and by washing and covering containers where standing water accumulates. Struck by the clever slogan, Olivarez called it “a great campaign,” which may inspire a similar idea locally.